The best business owners and managers will not only do everything they can to keep their businesses profitable, they will also go to great lengths to keep it well-protected. Every business owner who is worth his weight in gold is well-aware of the paramount importance of keeping a business as secure as possible. More often than not, they hire the services of a commercial locksmith to help them do so. If you are not yet convinced to improve your security system, let us provide you with some statistics. According to a reliable report published in 2016, more than 33 percent of company bankruptcies are caused by employee-related thefts. An average of a whopping $50 billion in profits is stolen each year from companies! Now, the primary task of a commercial locksmith is to ensure the total security of a business organization and he/she has to deal with continual updates in his field to ensure he/she stays at the top of his game. You shouldn´t be under the impression that a locksmith is only capable of opening locked doors. A residential locksmith can perform a variety of security tasks such as installing keypad operated locks, art biometric locks, and card swipe systems etc. In addition to that, he/she is also crafted in the task of installing and repairing CCTV. Why should you hire the services of a commercial Calgary Locksmith? If you are looking to keep your business secure, it is in your best interest to hire the services of a commercial locksmith. You should be careful to hire only those that are fully insured, bonded and licensed. Professional commercial locksmiths train constantly to ensure that he/she is up to date on the latest commercial locksmith technologies; doing so enables him/her to provide the best business security solutions. Let´s discuss how the services of a commercial locksmith can be helpful to your business. While commercial locksmiths are capable of providing replacement keys for lost office keys, safe combination reset services, installing video surveillance systems and punch-code system to enter, and incorporating master key systems. Basically, they can help you follow an effective key management system. What are some of the other commercial services a locksmith can provide? Well, in addition to the aforementioned services, a commercial locksmith can also install digital safes, keyless entry door locks, intercoms, buzzer systems, safe keys, and provide commercial lock repair, filing cabinet locks, and computer locks and most also provide Calgary automotive locksmith services and residential locksmith services in Calgary. A commercial locksmith can also offer professional advice and consultations to improve your security system. Let´s talk about facts here—not all businesses specialize in the same areas and operate in uniform office hours. Hence, not all businesses require the services of a Calgary Locksmith during the same hours. 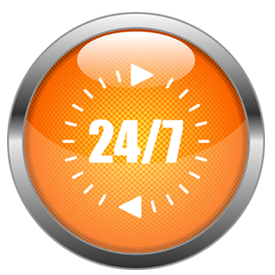 Fortunately, there are emergency locksmiths in Calgary that provide 24-hour services. Wouldn’t you agree that it is advantageous for you to have a locksmith provider on call whenever you need him/her the most? It also helps that there are services that are open even during the holidays.